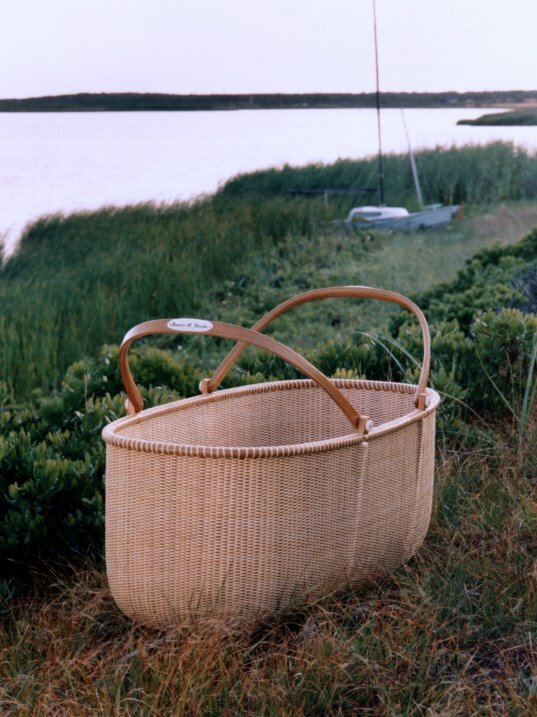 This baby Nantucket Lightship Basket cradle was made by Michael Kane. 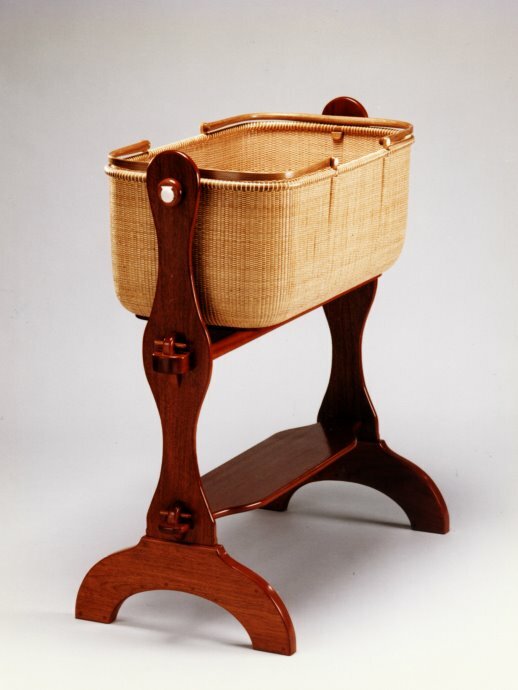 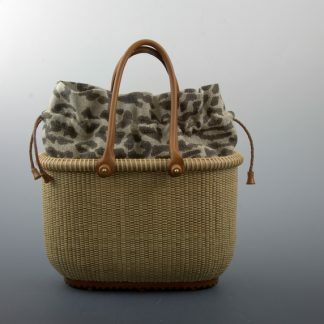 The stand is made of mahogany and the baby basket part swings in place and can be removed. 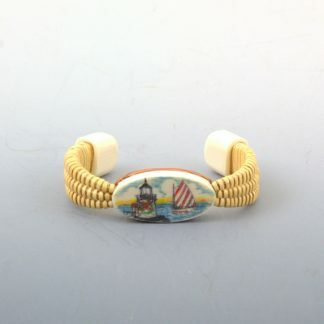 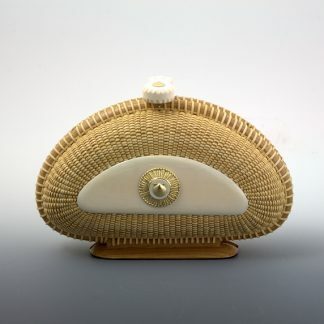 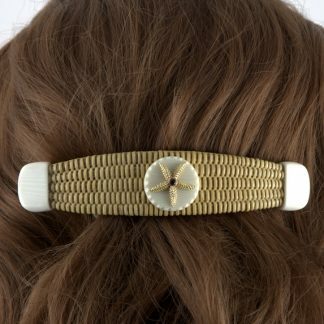 The carved antique ivory scallop shells complete the piece on each end.